This is such a great event for the whole family. There’s so much to see and do. And Keli’s will be there serving up our famous Hawaiian Teriyaki Chicken and Noodles, YUM! Don’t miss it! 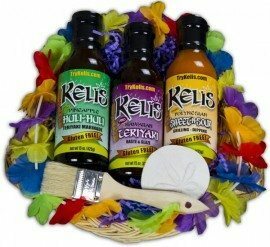 Congratulations to Susan of Norwich, New York our contest winner for our drawing for a Gift Basket of Keli’s Hawaiian Gluten-Free Sauces. Thanks to everyone that stopped by our booth at the Evergreen Space Museum this year and sampled our sauces and enjoyed a plate of food. It was a lot of fun. See you there next year!